They say failing to plan is planning to fail. In the age of the smartphone, we are seeing more people going back to good old fashioned pen and paper for their organizational needs. 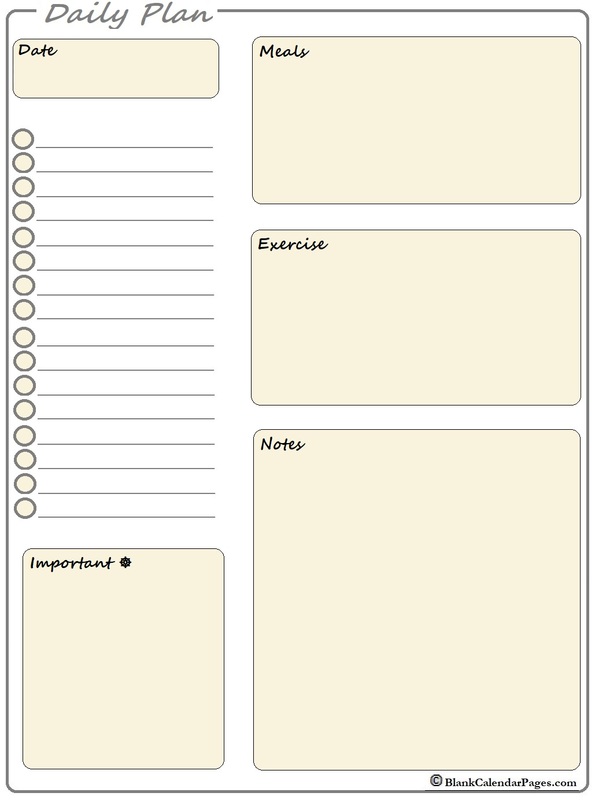 Your day is easier to reference at a glance. I like to be able to see my daily to-do list so I can mark things off as I complete each task. My schedule is laid out so I can see everything, and in this (hyper-busy) day and age, you need all the help you can get. This daily calendar is a great tool for your scheduling needs. 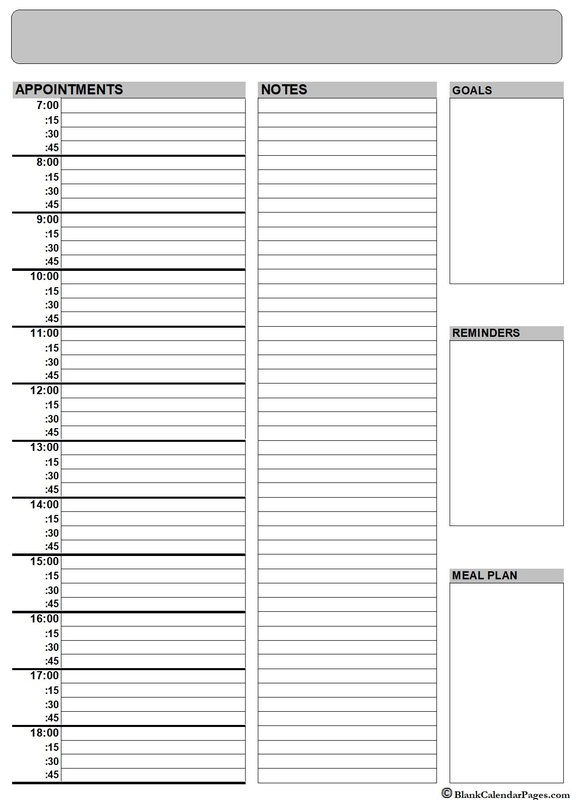 Flexible box entries for any combination of events. Need to schedule more hours? This daily calendar is a great 12 hour schedule calendar using miltary time. Make sure your day is covered. 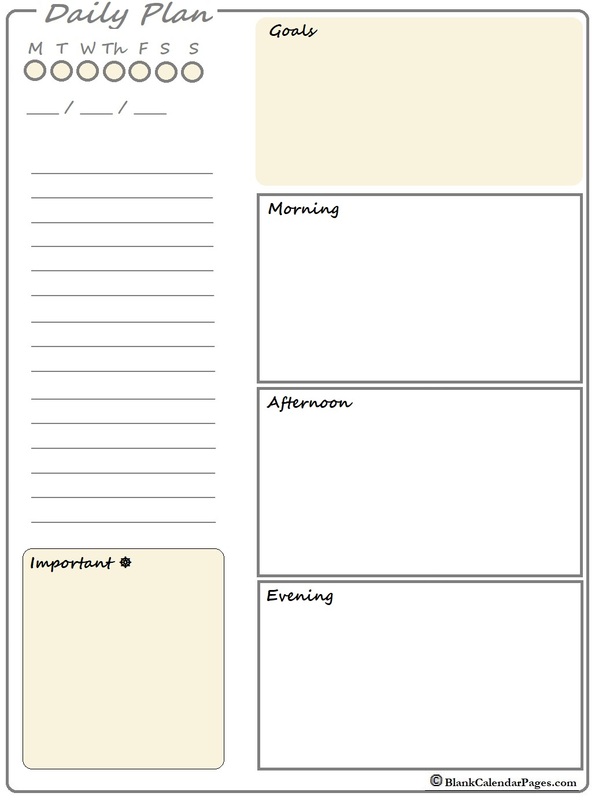 If you need a simple printable daily calendar schedule, then this is it! 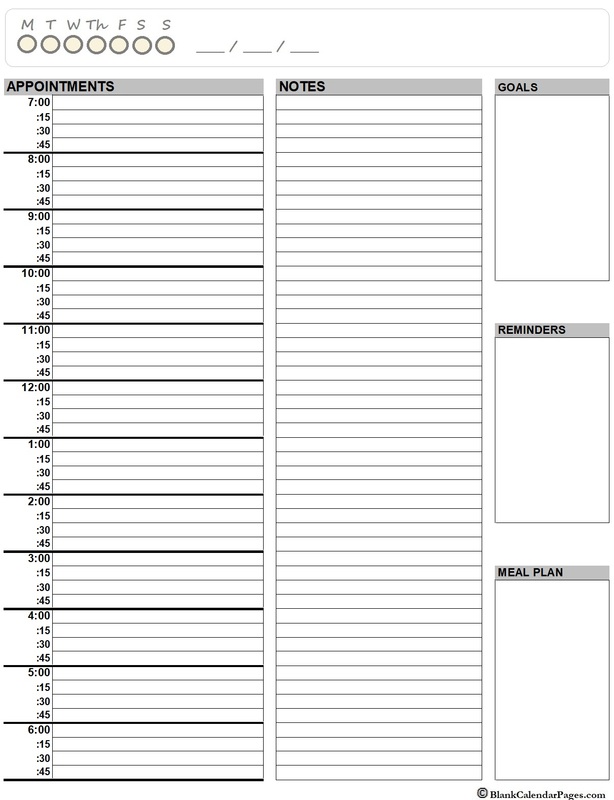 This schedule template provides the most space for your notes. It uses military time and allows easy annotation of date and time. Simple and minimalistic. This daily calendar is a great 12 hour schedule calendar that uses regular time. Make sure your busy day is covered around the clock. Need something simple? 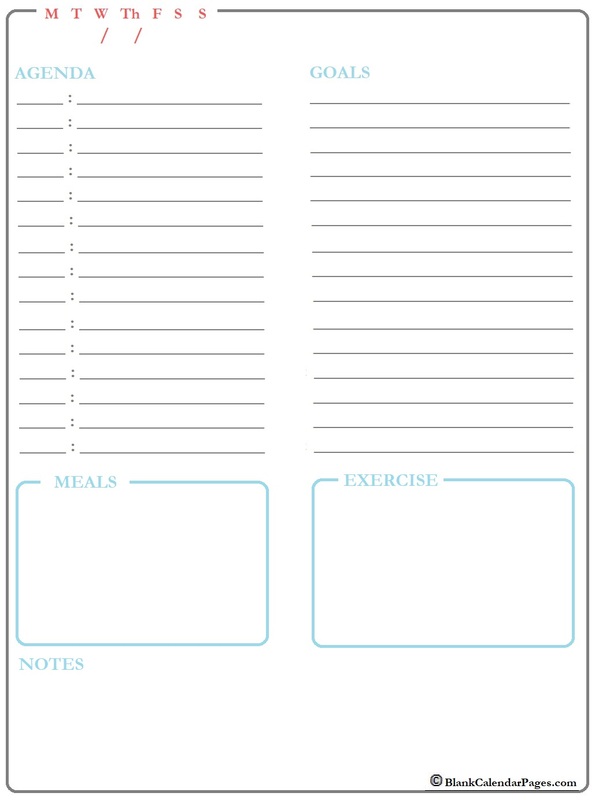 This daily agenda calendar is a great simple tool to plan your daily agenda, meals, excercise etc. Make the most of your day. Just grab your pen and annotate. These printable calendars don't require updates, print as many as you need to ensure your success. Personally, I love the ability to see my full schedule, and adjust accordingly. No matter where I am, I simply pick up a pen and update my plan. That's how you achieve goals!